Turning off Station Road – behind the back gardens of Stafford Street – it was still playing on my mind. 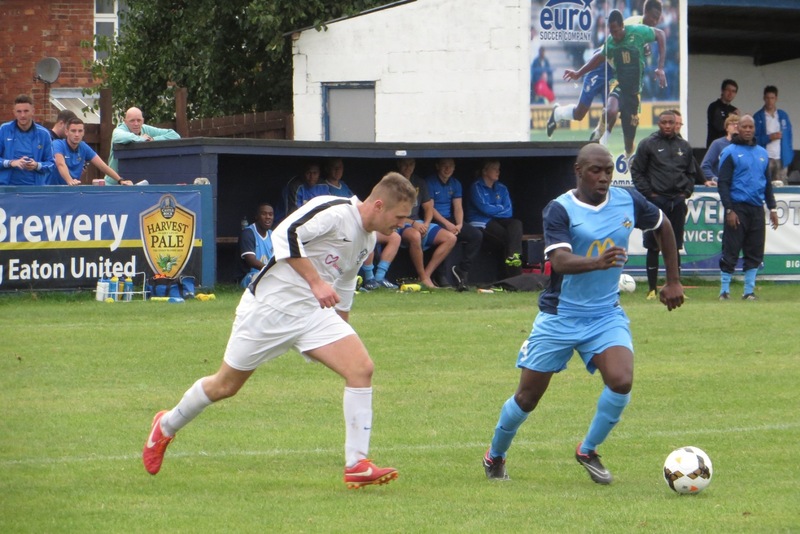 Why Long Eaton United? All the other players’ clubs that I’d visited thus far, made for fairly transparent partnerships however, Charlie Palmer’s motives had been tormenting me since exiting the North Circular three hours earlier. Sandwiched between Derby and Nottingham, close to the lowest bridging point of the River Erewash, Long Eaton – the birthplace of Lewis McGugan – was originally referred to as Aitone in the Doomsday Book. Whilst growth was accomplished at a fittingly gentle pace, the nineteenth century’s development of the railway and lace-making industries brought increased prosperity to the region. Much like the town’s successes however – in the shadow of neighbouring cities – their football club’s achievements have gone relatively unnoticed. 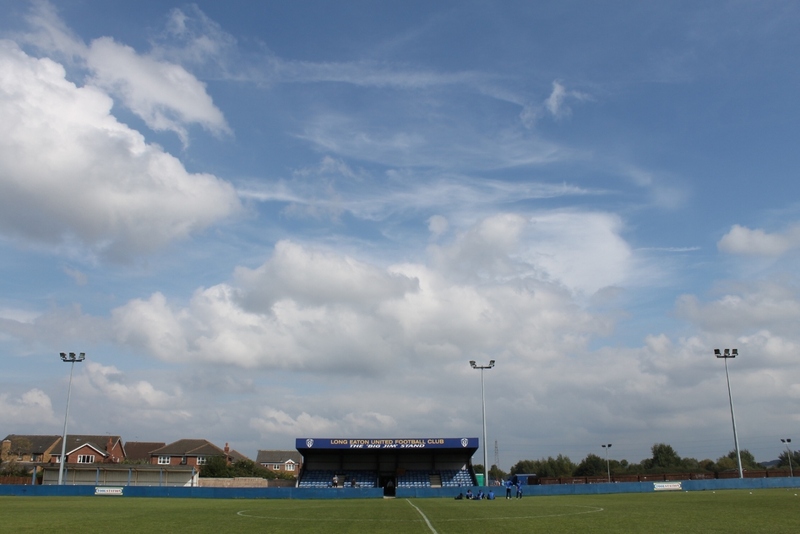 Formed in 1956, Long Eaton United’s Grange Park is a truly beautiful set up. A compact stadium, with covered seats on both sides, it is surrounded – in a seemingly rural setting – by practice pitches of full and five-a-side sizes. 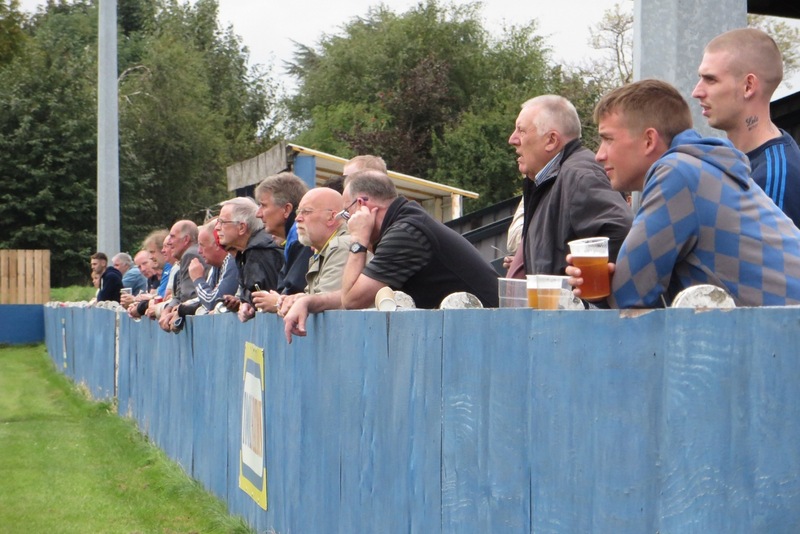 Much like the Dutch clubs I’ve witnessed on my travels, as I pulled up, I found youth matches in full swing, being cheered on by Chairman (Jim Fairley) and parents alike. “We want to get the club to 20 teams at all levels, with the aim to keep them on site after to watch first team.” Jim explained when we met pitchside before the main event. Recounting some extreme highs and difficult lows, Charlie would explain how Arthur Cox had pulled him back onto the rails when his footballing motivation lost its importance and, when “three good years” at Derby finished with a transfer to Hull, how a chance encounter during a pre-season game saved both his career and his marriage. “Taylor gave me a chance but, Warnock took me to another level. Warnock is a great motivator, who focuses on your strengths, and he makes you believe you can take on the world.” Back in Derbyshire, the Palmers may have found their home but it was at Notts County, that Charlie found his legendary fame. Forcing an own goal, that aided Watford’s UEFA Cup comeback against Kaiserslautern in 1983 was great but – rising above marker Stuart Pearce – his powerful winning header against Forest, put him atop a Notts County pedestal he’ll doubtless ever get off. Standing behind Charlie’s Long Eaton dugout, I even met one County supporter, Gary Hosker, who proudly told me how he’d even named his son Charlie in honour of “The greatest goal ever scored”. Happy but humble of his playing career, out of earshot in front of us, Charlie was just fixated on the game in hand. With the ref missing a few decisions – possibly due to wearing sunglasses – the first half had begun with The Blues edging a somewhat scrappily encounter. 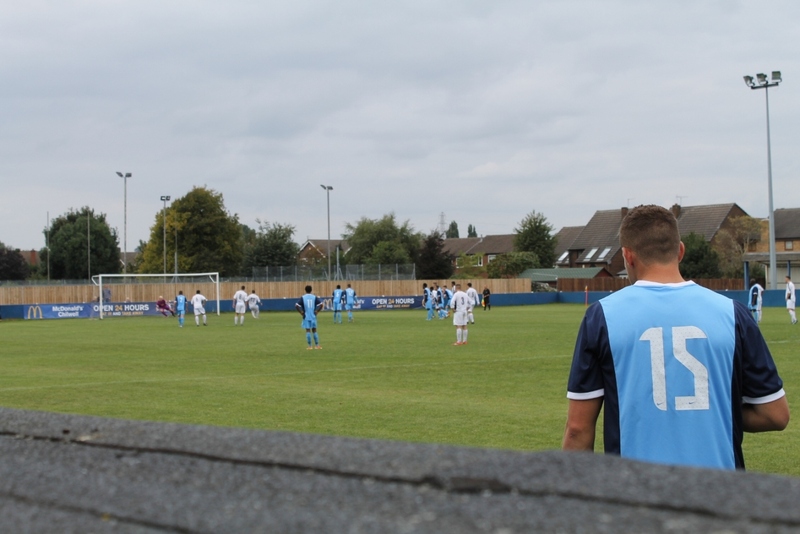 On the quarter hour, a glancing header caused a minor setback but, with fresh instructions from the bench, pretty soon Long Eaton were back level. After a string of desperately cleared corners, Michael Armstrong rifled back an unstoppable shot to the bottom corner, from 30 yards out. A player Jim had boasted would one day beat his appearance record for Long Eaton, Armstrong was easily the pick of the first half and this goal was a fitting reward. The confidence this gave lifted the Blues onto another plain, with fine passing moves setting them apart from the Causeway United. 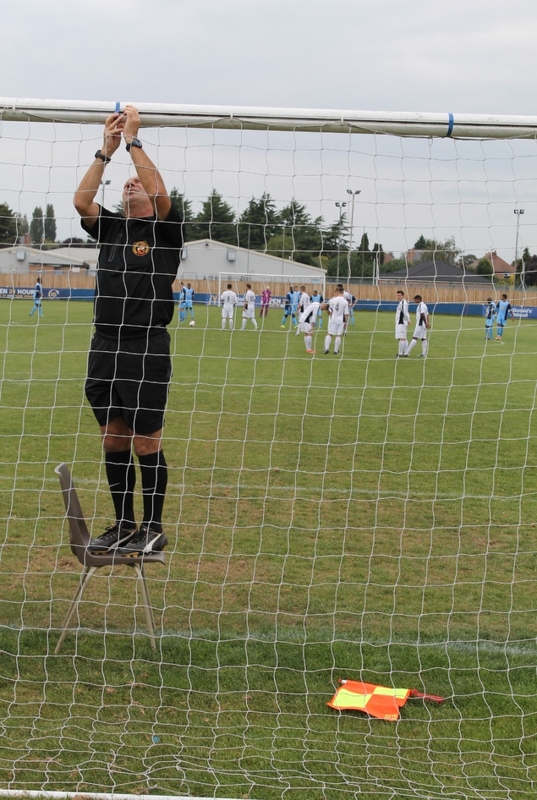 Minutes later – whilst I was distracted by a dog scuttling pitchside – leaving the visiting keeper yelling obscenities at his defence, unmarked Theo Smith stabbed home at the second attempt. Two minutes later Ben Watkis headed a third. The optimism around the ground was palpable. 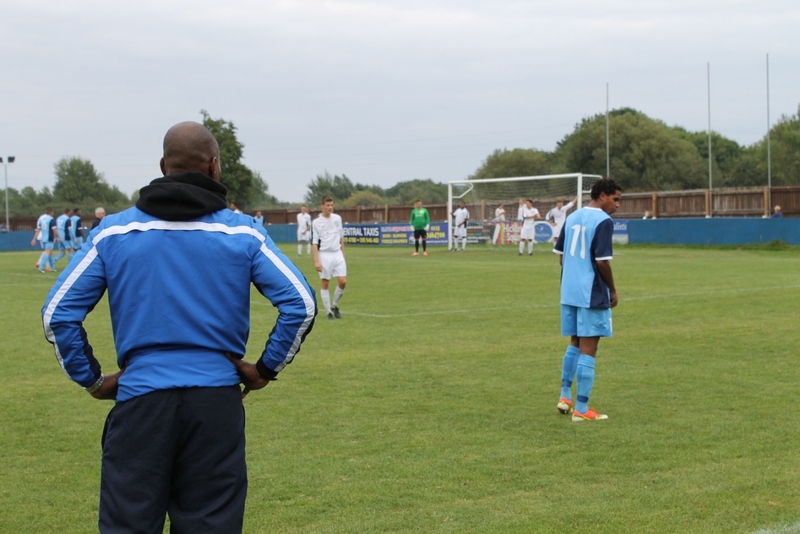 Though in the second period, this overconfidence led to some casual play from Long Eaton; thankfully Causeway could only score one – from the spot – as Long Eaton forgot everything they did well until the final minutes. Given the managers Charlie holds in such esteem – those he’d learnt so much from – it’s not difficult to either sympathise with such an assessment, or understand where it had been cultivated. Upon retirement Charlie hadn’t planned to enter management but in the end, watching football back in Derby just wasn’t enough. Even his wife could see he was itching to get back into the sport. In the hiatus Charlie had trained as a Social Worker, and committed his working life to it. A profession that is still his chosen “day job”, it has developed in him a considered yet caring side that one can easily witness permeating into his football management style. 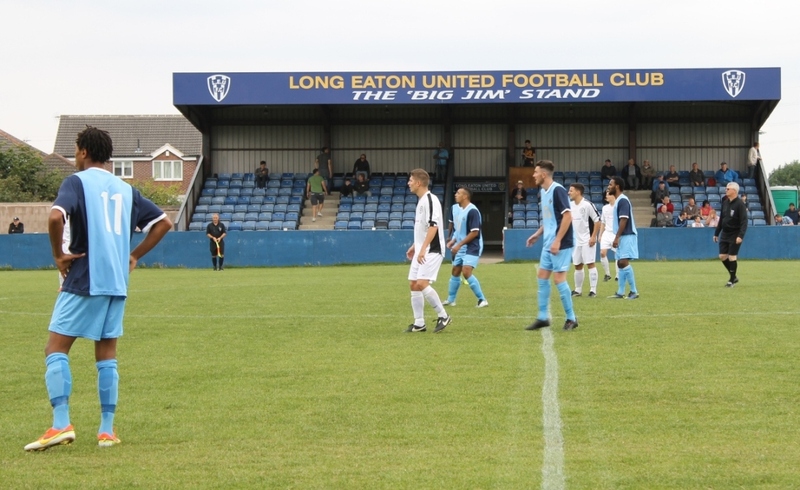 Like all successful teams, and their town before them, Long Eaton United are building gently; carefully fitting pieces of the jigsaw together. Talking to those at Grange Park, it fairly apparent Charlie and his knowledge and experience have become a large part of their future planning. Is it working… at the time of writing they still haven’t lost a league game this season. 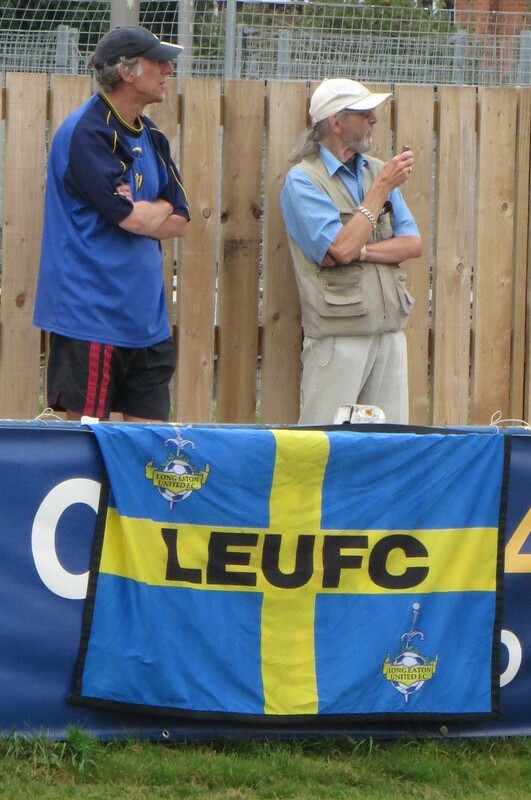 The fact that Charlie is a County legend, whilst Long Eaton’s Chairman is a lifelong Forest fan, matters not. There is a clear mutual respect, and an understanding of the importance of community and family to the success of this club. They both recognise that the club needs to be run sensibly, that everyone needs to stay in touch with reality, and that young players need to be nurtured and guided in their career development. Most of all, there’s an expectation that all involved will work hard to build memories for cub and the town. He didn’t say as much but watching his side’s warm-up, it was clear that in both his jobs, Charlie will work and work and work to build the self belief in others. 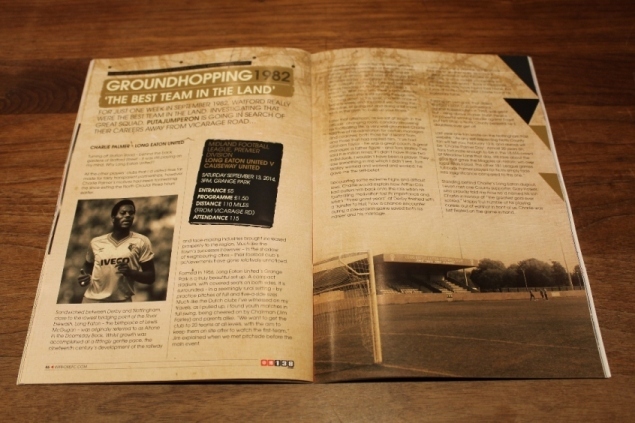 Because these articles are initially appearing in the 2014-15 Watford FC matchday programmes, they will consequently have a delayed publication on here. 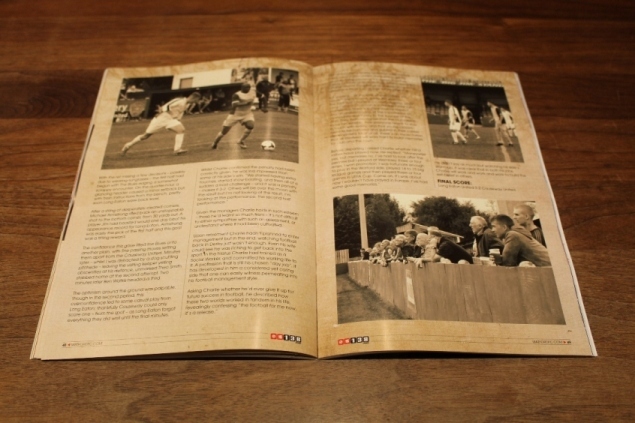 This entry was posted in #WFC1982, 2014-2015, Midland Football League and tagged #WFC1982, Aitone, Blues, Causeway United, Charlie Palmer, Derbyshire, Grah, Grange Park, Jim Fairley, Kaiserslautern, Long Eaton, Long Eaton United, Midland Football League, Neil Warnock, Notts County FC, Premier, River Erewash, Social Worker, Stuart Pearce, UEFA Cup, Watford FC. Bookmark the permalink. A lackadaisical commentary on the capitulation of the Beautiful game. This site contains actual letters I have written and posted to people within the footballing family. My congratulations, my sarcasm, my annoyances and my views about the beautiful game. Any responses will be published . Add to your favourites and come back soon! Website. Magazine. Football and that. Eating our way through the FIFA Rankings, one association at a time. The non-partisan website with an eye on the football league. Or, alternatively, \"BSaD: Mission To Moscow\". Don\'t ask why. Or do ask why, but don\'t expect an answer. Or expect an answer, but brace yourself for bewilderment. And so forth.